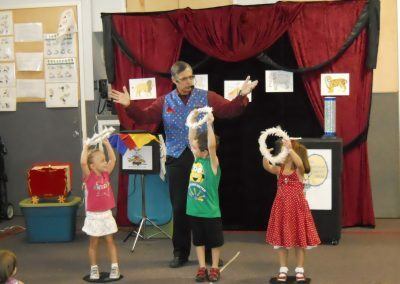 Let’s take a trip to the circus starting with getting a volunteer to be the magical ring master. 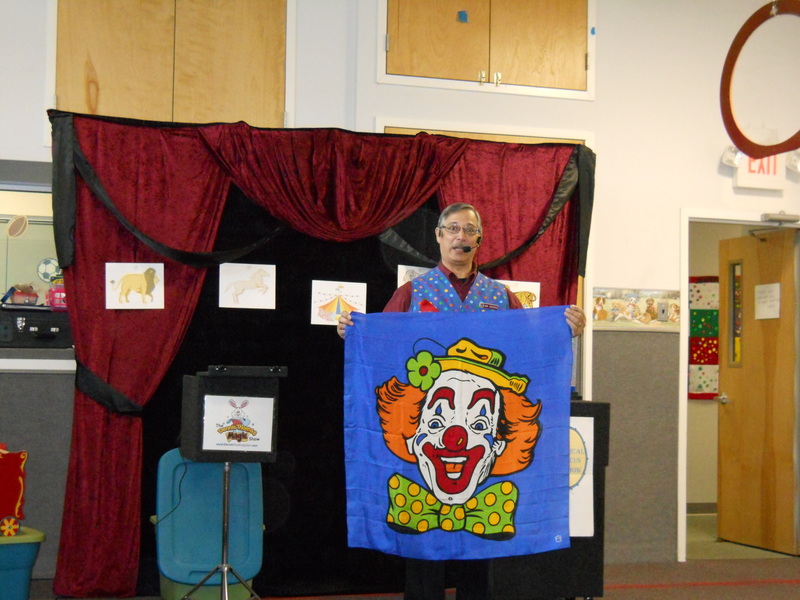 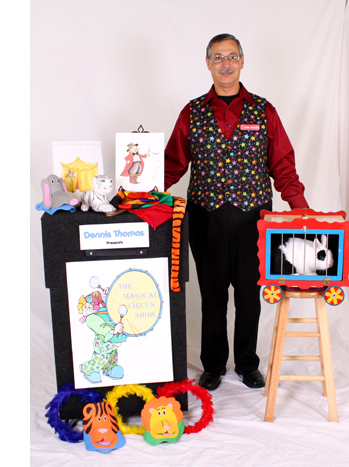 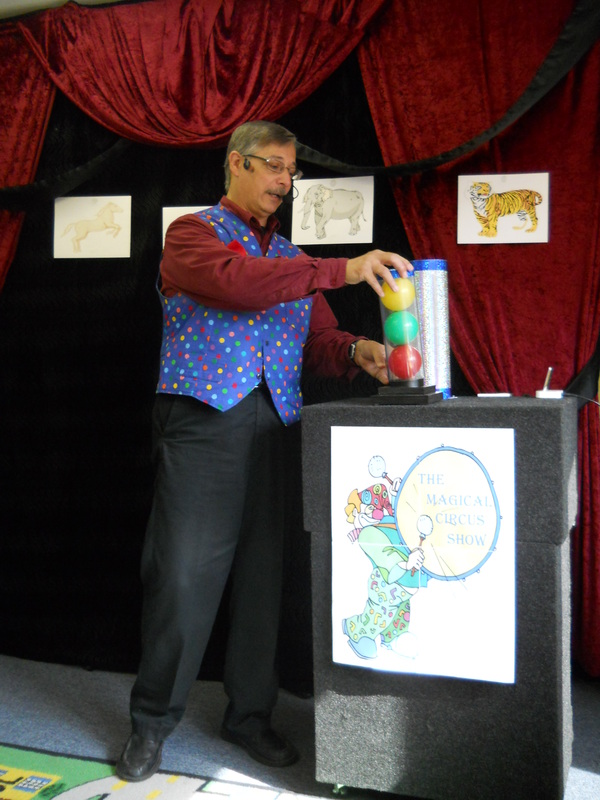 This colorful magic show talks about the different things, people and animals that are part of the circus. The circus tent, dancing elephants and a missing tiger. We even cook up some food in the Mess Wagon. 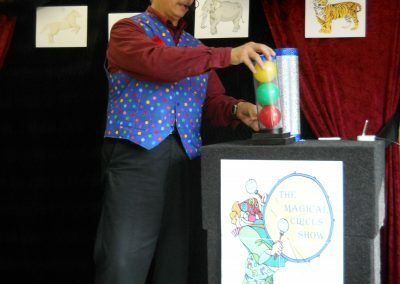 Come on and join the circus.